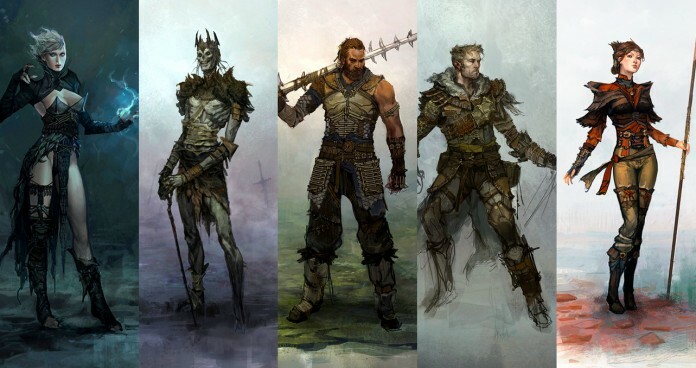 Bound by Flame is a new action RPG from Spiders and Focus Interactive that will release on May 9th, 2014. This game features a choice-driven fantasy world at the edge of destruction. With no one able to stop to the Deadarmy, humanity must resort to extreme measures to prevent total annihilation. That’s when Vulcan, a Pure-Blade mercenary comes into the scene. Vulcan is the protagonist of Bound by Flame and he’ll be possessed by a flame demon, who will grant him incredible powers in exchange for his humanity. But Vulcan can’t save the world alone, he needs a group of skilled warriors to assist him in every battle. 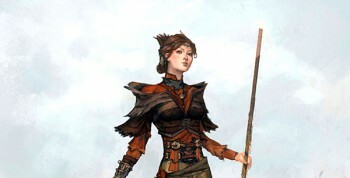 Edwen is a powerful witch who has mastered dark and mystical magic arts. 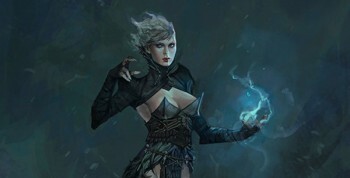 In battle, she is ruthless and merciless with her elementary and mind-control spells. She joins Vulcan with the sole purpose of assisting his cause but later, it’s unveiled that her main motive relies on vengeance. Despite that, Edwen will become a notorious adviser regarding Vulcan and his inner demon. In her view, the means presented by the demon are nothing more than a weapon to achieve his goals and as so he shouldn’t hesitate to embrace it. 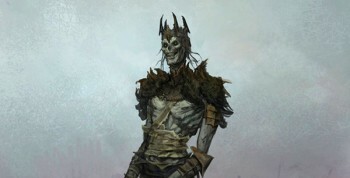 Undead and immortal, Mathras is not what he seems to be. Educated and refined, he has lived over 3000 years, long before any civilization ever existed. He normally travels alone and he is not even remotely allied with the Deadarmy. During all this time, Mathras has achieved perfection in several battle specializations. Nowadays, he combines melee combat with mind-control spells but this is far from being his only limitations. Mathras joins the expedition to satisfy his curiosity about Vulcan and his extraodinary will to defeat the Deadarmy. Randval is the last survivor of an ancient clan that was decimated by the Deadarmy. He joins Vulcan to restore the lost honor of his clan and to save the world from the dominant evil forces. In battle, this fearless warrior uses his beastly two hand weapon to taunt and disable enemies, giving his allies freedom of movement and strategy. Just like Edwen, he thinks the hero should take use of the demon powers to defeat the Deadarmy. Moreover, he’s very a very disciplined and faithful ally and he would not hesitate to sacrifice himself if necessary. 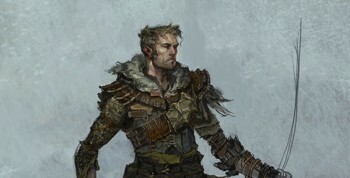 The neutral state of the Elven race has made Rhelmar to become an outlaw, a pariah among his people. Determined to fight the Deadarmy, this elite archer joins Vulcan’s expedition to do what’s right and just. He doesn’t mind risking his life, as long as the cause bends by the standards of justice. 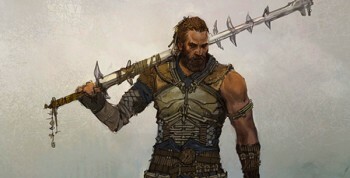 In the battlefield, Rhelmar prefer to use his fierce bow but he can also use his dagger when enemies come too close. Regarding Vulcan and his inner demon, Rhlemar doesn’t seem too concerned about whether or not the hero chooses to give up his soul for greater power. Sybil is a young wizard and the daughter of the leader of the Order of the Red Scholars. She has traveled around the world to acquire more knowledge and as expected, her curiosity will lead her to join Vulcan’s expedition. She despises dark magic and she will worry about the consequences of Vulcan’s demonic powers. In battle, Sybil can cast a few offensive spells but she’s specialized in healing, so she normally attends to her allies wounds during the heat of the battle.